If the Confederate army can retake the harbor, it will be a powerful victory for the South, and will enable Jamie's family to flee to safer quarters. 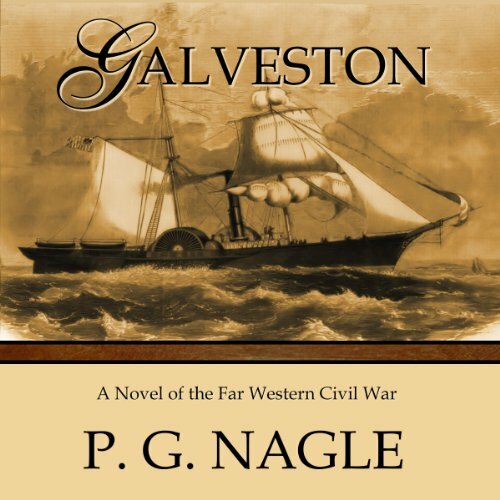 If, on the other hand, the New Year dawns with the Yankees still holding Galveston and reinforcements on the way, it may be too late for Jamie's kin and for the hopes of the Confederacy's blockade runners. Jamie and his allies have but one chance, a daring attack on the Union ships. If it works, they are heroes. If they fail, all Texas may be open to invasion by the Yankees. ©2002, 2010 P. G. Nagle (P)2013 Audible, Inc.